Boyds Asparagus is harvested daily when spears emerge in spring. Only the choicest spears are chosen. 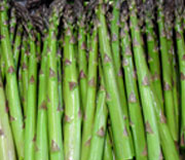 Boyds Asparagus is washed, trimmed, graded and packed within hours of harvesting. This guarantees superior flavour and freshness of Boyds Asparagus. Boyds Asparagus offers a complete service to growers, buyers, retailers, exporters, importers and the public, which is second to none. Fresh, green, size graded asparagus. Promotional material. Products available in measured bundles or loose packs. Consistent supply and quality. Speedy efficient daily delivery service. 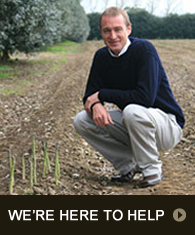 We also provide a wide range of contract Services for complete asparagus production.